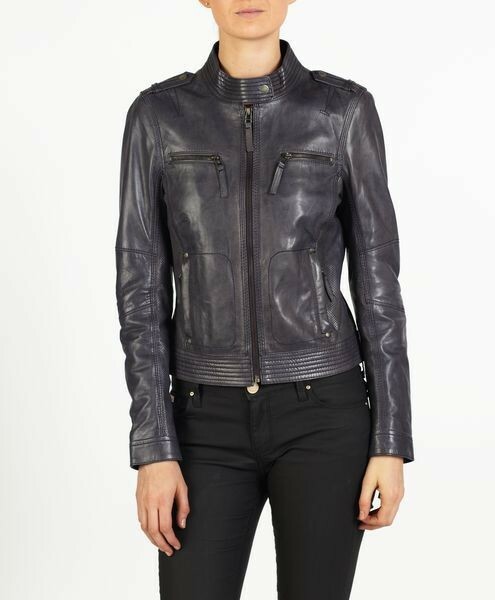 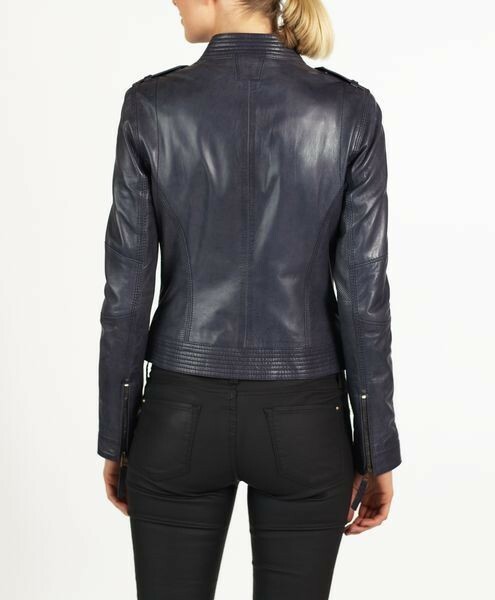 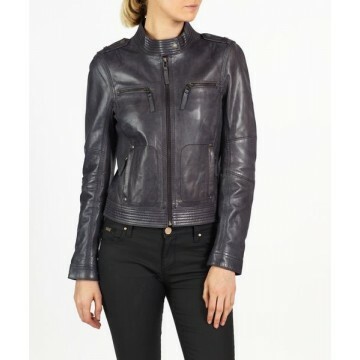 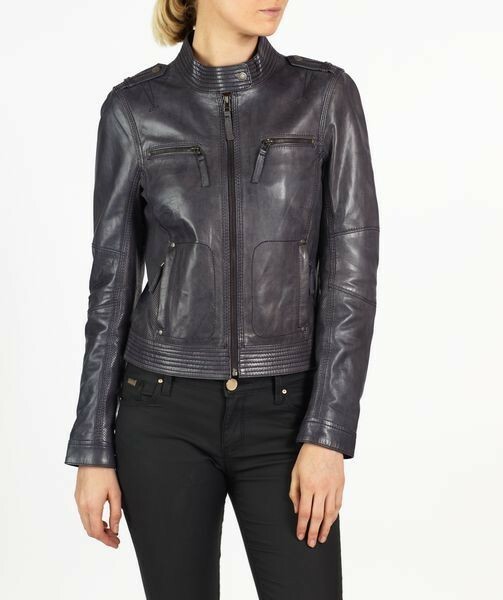 TANIA is a chic and elegant leather jacket, inspired by the classic biker style. 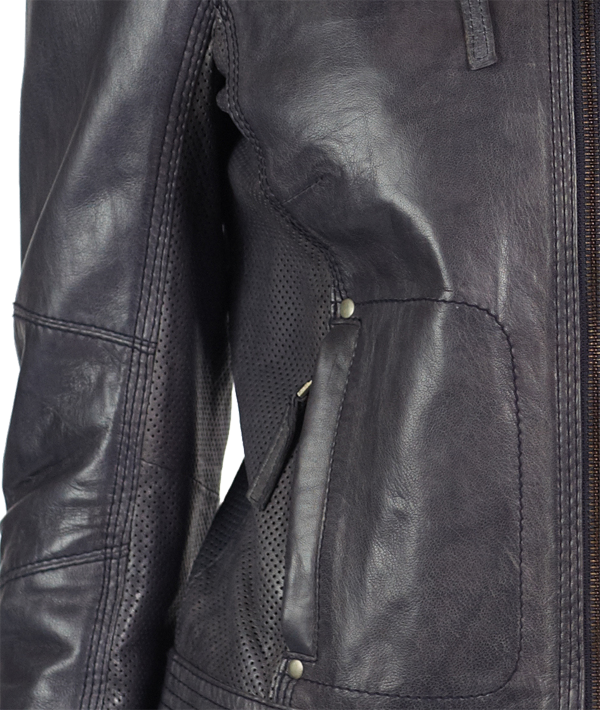 TANIA is made from our special lamb Napa skin, it has a glazed/waxed finish and very discreet stitching throughout. 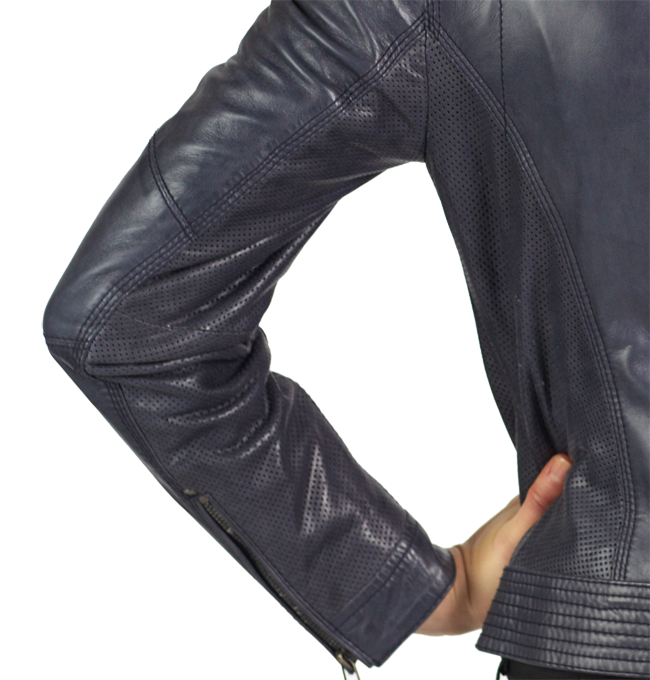 The zip pockets & perforated detail elements combined with a great fit make TANIA extremely desirable and provide practicality and security of personal items. 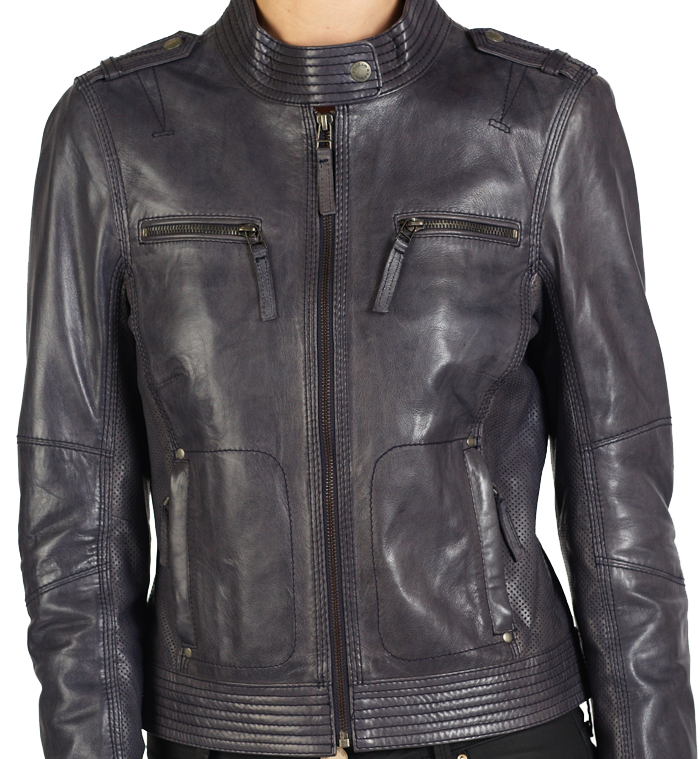 This is one of our best selling jackets.